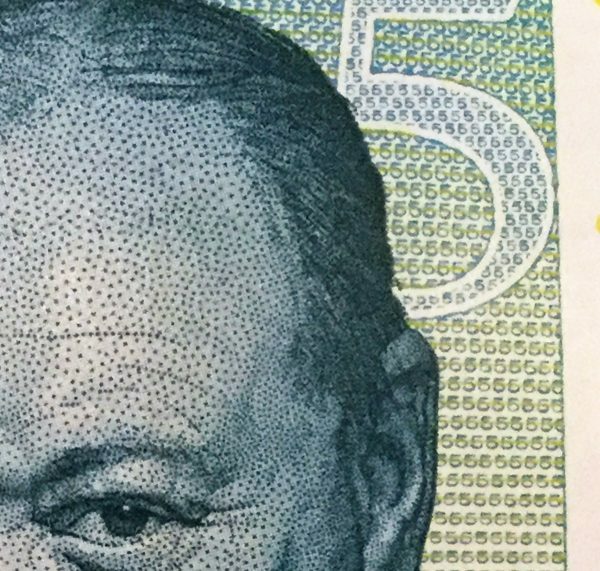 By now most readers will have seen the new five pound note: made of polymer plastic and featuring Sir Winston Churchill on the reverse. Here are ten fun things to do with your new fiver! 1) See how many times can you fold it in half. 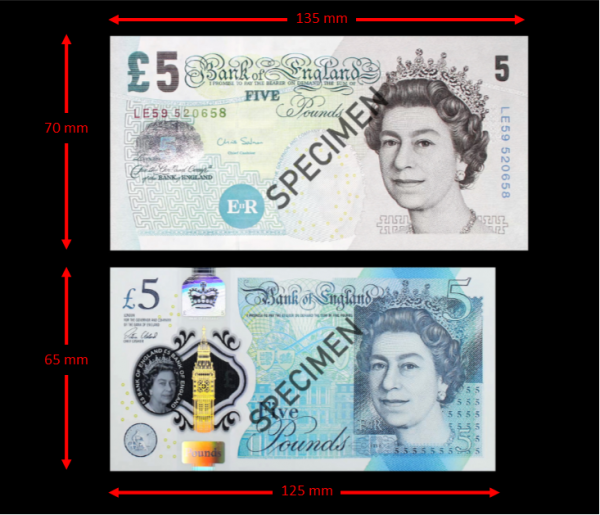 The new fiver is designed to be crease-resistant, which makes this challenge even harder. I’ve managed 5 folds so well done if you can manage more! The world record for folding a piece of paper in half is 12 times set by Brittney Gallivan while she was still at High School, but that was starting with a really really long piece of paper (1.2 kilometres long!). 2) Hold the see-through part over this sentence… and now see if you can read the rest of this blog through the window! 5) Take it to the bank and swap it for two-hundred-and-fifty 2p coins. Now see if you can balance them in a tall tower. 6) Roll it into a tube and use it as a drinking straw. 7) Take it to the shops and spend it on chocolate. 8) Make it into a paper aeroplane. 9) Collect 200,000 of them and become a Millionaire. 10) Collect 200 million of them and become a Billionaire! Please share this article and see if your friends can think of any more fun things to do with your new polymer fiver! HOW MOST PEOPLE CAN BE "BETTER THAN AVERAGE"!